Edamame is one of my favorite side dishes. It is a soy bean pod that is chalk full of fiber and protein and can be served with virtually anything. While it is so simple to make, there are also a lot of variations you can make depending on your mood or main dish. 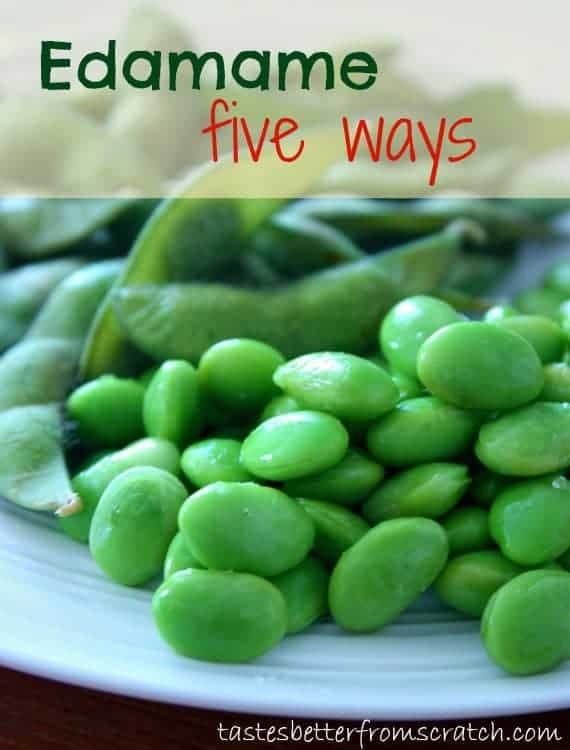 And, if I ever have leftover edamame, I love to refrigerate it, pack it in my lunch the next day, and eat it cold. Bring a pot of water to a boil. Add edamame, reduce heat to medium-low, and cook for about 8 minutes. Drain and sprinkle with plenty of sea salt. Remove to bowl and serve. 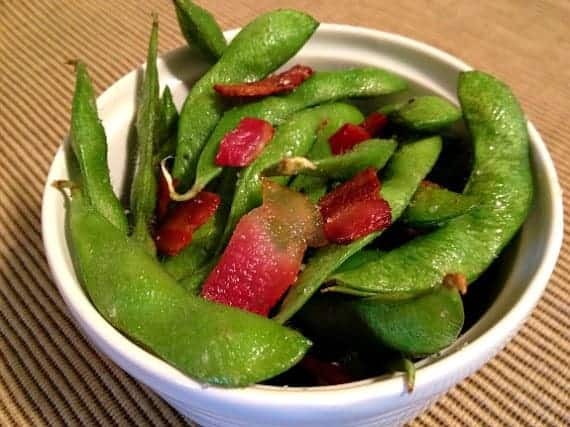 Note: Edamame is typically eaten by placing the pod in your mouth (still holding onto it) and using your teeth to remove the beans from the pod. Boil edamame as directed above. Drain, remove to bowl, sprinkle with sugar and salt, toss, and serve. Rinse frozen edamame under warm water until thawed Remove soy beans from pod and lay out on a baking sheet. Drizzle olive oil over beans, sprinkle with cheese, and bake at 400 degrees F for 15 minutes. Boil edamame as directed above. While pods cook, stir salt, oregano, pepper flakes, and chili powder over medium heat in a small pan until hot (about three minutes). Drain pods, pat dry, and sprinkle with pepper-salt mix. Boil edamame as directed above. In a skillet, cook 3 slices of bacon until cripsy. Chop the bacon. Drain edamame and add to skillet. Cook on high until pods start to brown slightly (about 3 minutes). Sprinkle with sea salt. Serve warm. Yummy! I love all of the twists! 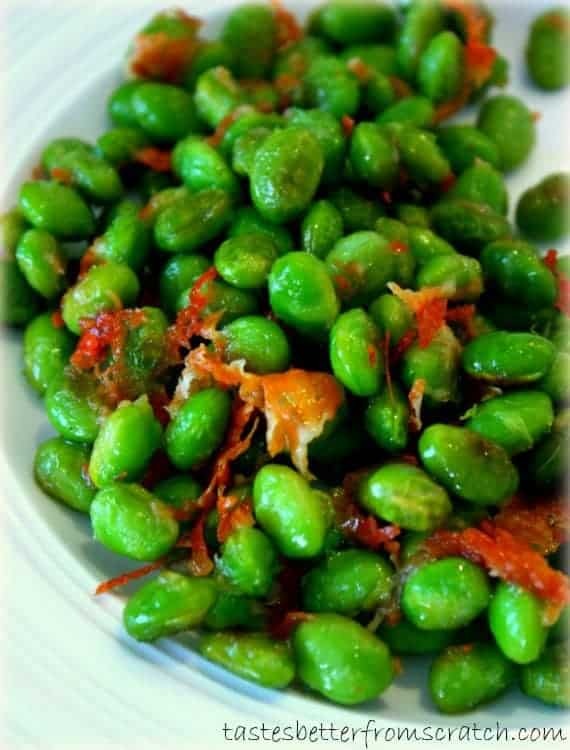 Love, Love Love Edamame! Excited to follow your blog! I need help in the kitchen! Sick of my same old dinners! Thanks ladies!